The black/red gene is often marked as capital E (e for eumelanin) for the dominant black gene and lower case e for the recessive red gene. A horse with one or more E allele will make black and red pigment. A horse with two e alleles will only produce red pigment. A fully functional version of the black/red gene signals the body to produce eumelanin (black pigment) and pheomelanin (red pigment). The mutated version of this gene breaks eumelanin production. Two copies of this mutated version produce an all red (chestnut) based horse. 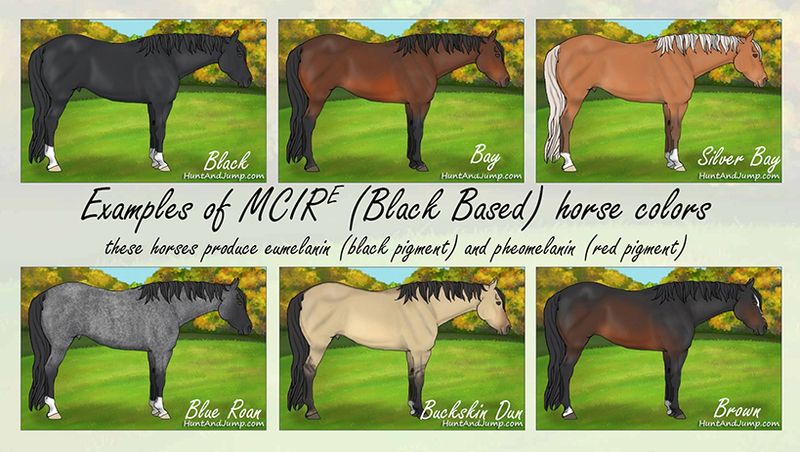 A horse with MC1RE will produce black and red pigment. Examples include blacks, bays, buckskins, grullos among many others. 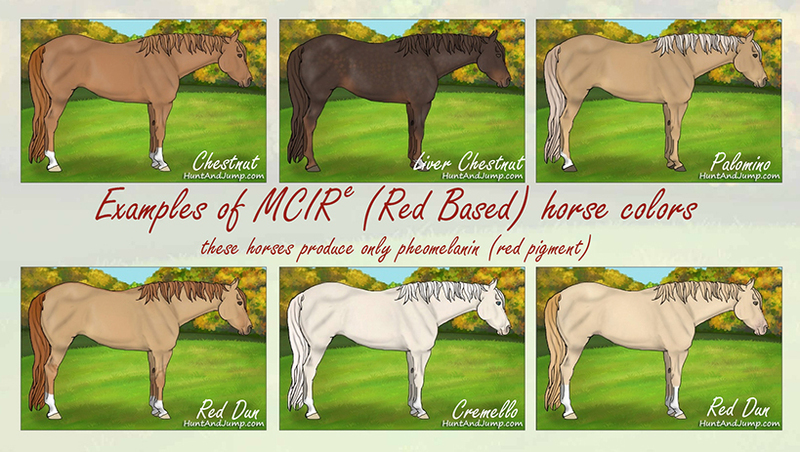 A horse with two copies of MC1Re will only produce red pigment. Examples include chestnut, red dun, palomino, red roan etc. among many others.